Simplify your IT Disaster Recovery Challenges in affordable and efficient way. Cloudciti Disaster Recovery as a Service (DRaaS) is reliable, scalable and cost effective disaster recovery solution for enterprise customers. The service has primary goal to provide end-to-end support to recover your IT system as soon as possible in the event of disaster. We have unique technology, infrastructure, people and process to protect your IT operation but yet flexible to meet your budget constrain. Build upon cloud-base architecture, the Cloudciti DRaaS solution provided the ultimate flexibility for you to meet on both RPO (Recovery Point Objective) / RTO (Recovery Time Objective) / SLA (Service Level Agreement) and budget expenses requirements. Unexpected operational disasters and disruptions can occur at any time, when a disaster occurs, the company will not have much time to make an instant recovery plan in the event of a disaster. Disaster Recovery Strategies are prepared to reduce the consequences of disasters and take appropriate action to maintain valuable resources especially IT facilities and information systems. This process should be done for a broad function of the company such as reducing financial losses, improving customer service and reducing the risk of destructive events that can affect the company's name, process, liquidity and reputation. For that reason, Datacomm Cloud Business comes with the concept of Cloudciti Disaster Recovery as a Service (CDRaaS). This concept is offered to ensure your company invests effectively and efficiently in implementing Disaster Recovery strategies. Cloudciti DRaaS implements cloud-based Disaster Recovery that provides flexibility for your company in determining the optimal solution for disaster recovery needs. By adopting Cloudciti Disaster Recovery as a Service all unexpected interruptions such as downtime requirements for system upgrades or application development requirements are able to be handled to ensure the system keep running. Highly qualify team with multiple disciplinary which include security, networking, systems, operation, datacenter and facilities. What Can Cloudciti DRaaS Do For You ? Server outages are an inevitable hazard that can result in expensive downtime and critical data loss. You need a fast, efficient way to protect your data, recover enterprise servers quickly, and get back to work ASAP. Cloudciti patented protection technology can capture everything on your system disk in one quick step and restore to any location. We offer extensive features tailored to your specific platform, and all our products include direct access to offsite cloud storage for maximum data reliability. Now when disaster strikes, you can quickly restore servers to any location-both on-site, offsite or in Cloudciti environment-in minutes. Remote offices and multiple work sites present unique challenges to enterprise data protection. You need a solution that can be installed and managed remotely, that requires minimal IT resources, and that provides remote staff with the means to access and restore their own data. Cloudciti backup and disaster recovery solutions meet these requirements with centralized management and monitoring, easy-to-follow disaster recovery plans, and fast, efficient backup technology that requires minimum supervision. We also offer secure, offsite cloud storage and cloud computing environment that provides your teams access to backup data anytime and able to restore/recovery your system, from anywhere. Different kinds of disaster recovery are dependent on the needs of your business, It is important to maintain a proper level of redundancy to allow your business processes to resume as soon as possible. Cloudciti DRaaS offer three different stages of disaster recovery: Hot DR, Warm DR and cold DR. Each describe the speed required for recovering your system at secondary site and running again after disaster initiate. Cloud-based Warm DR is a middle ground of between hot and cold DR, Warm DR provides pre-installed system equipment in the cloud. 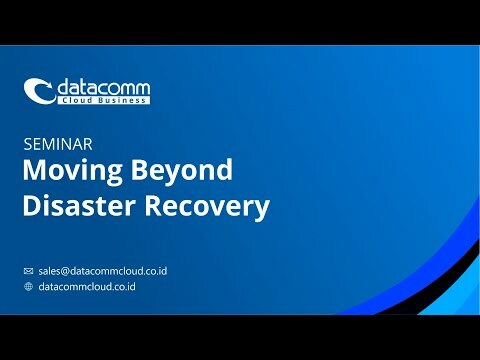 When disaster initiate, backups are loaded and the recovery process can begin. Warm DR is proper for aspect of the semi-critical business but requires a level of redundancy. Cloud-based Hot DR offer the quickest recovery after disaster, the Cloudciti hot DR can take the place of the impacted site immediately after disaster initiate. This level of service is achieved by providing a mirror/real-time replication of production IT system in the cloud environment and dedicated resource for one customer. Therefore need a minor update to DNS records to maintain a seamless service. 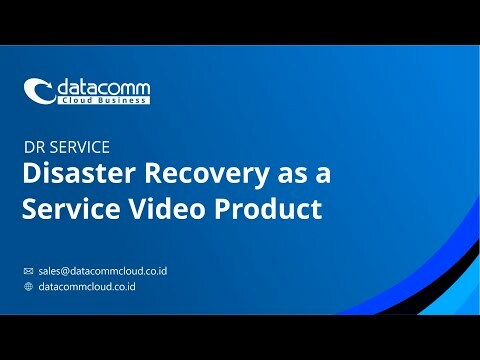 Try our Datacomm Disaster As a Service for free. Easy setup. No hidden fee. Contact our sales team or fill out our ordering/trial form. You can recover specific files and folders from the recovery site for virtual machines that are being protected by Datacomm Disaster Recovery and running Windows operating systems. Using compression to minimize bandwidth and other techniques such as throttling to prioritize network traffic to reduce the impact on day-to-day operations, you can make sure that the communication between the protected and recovery sites is fully optimized. Managed from a standalone browser-base user interface, enabling disaster recovery management from anywhere using any device. Sending a record of every write in the virtual protection group to the recovery site. The transfer of this information is done over an optimized WAN asynchronously. If recovery is required, all the data that was transferred to the recovery site is available resulting in recovery within the requested RPO. When recovery is required, the administrator clicks on a button in the Disaster Recovery User Interface to initiate failover. This means that controlling the start of a recovery remains in the hands of the administrator, who can decide when to initiate the recovery and, by selecting a checkpoint, to what point-in-time to recover to. You don't need more equipment and maintenance. 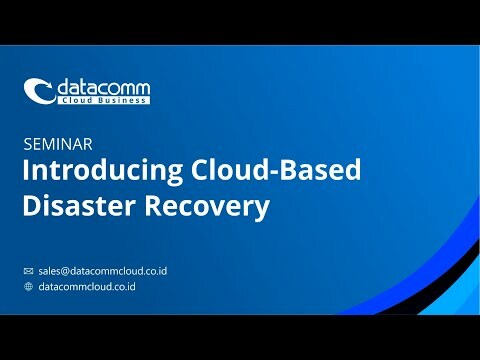 You just need our vast recovery cloud of compute and storage resources layered with our disaster recovery tiers to build a tailored and reliable DR solution. Enables replication across multiple hypervisor managers, such as VMware vCenter Server and Microsoft SCVMM, and to public clouds such as Amazon Web Services (AWS) or Microsoft Azure. You can protect virtual machines in one hypervisor platform and recover to a different hypervisor platform. This feature can also be used to migrate virtual machines to a different hypervisor platform. Utilizes continuous data protection, sending a record of every write in the virtual protection group to the recovery site. The transfer of this information is done over an optimized WAN asynchronously. If recovery is required, all the data that was transferred to the recovery site is available resulting in recovery within the requested RPO. it does not matter what hardware is used in either the protected or recovery sites, it can be from the same vendor or different vendors. Virtual Replication the logical storage is separated from the physical storage so that the vendor and actual type of storage hardware do not need to be considered.